Critical Concrete promotes a new model to refurbish socially-relevant spaces – social housing, cultural centres, and public spaces – through educational programmes. We offer a summer school program for architecture, design students and makers who are interested in both the theory of sustainable architecture and getting physically involved in the construction work. In this process, summer school participants contribute to the thorough refurbishment projects that could not normally be afforded by the social housing occupants or covered in full by public funding. On top of rehabilitating social housing, we also conduct refurbishment projects for cultural and public spaces. These projects serve as connective tissues in neighborhoods that we work closely with. In the Summer Course, we offer a completely unconventional and cutting edge programme. We will work on innovative solutions for social housing, while simultaneously developing new working methods. Both students and young professionals will explore models of cooperative planning in interdisciplinary groups, design and build their projects! The course will be conducted by an international team of great teachers and mentors and is certified by the FBAUP, Fine Art School of the University of Porto. Please visit our website for more information. • Architecture and design professionals, graduates, students and PhD-students, engineers, makers, DIYers, builders, artists in their respective fields. People who want to engage with the practice and learn how to build and meet people with inspiring background and know-how. • People who want to get a first experience in building with a theoretical input, so to start their own projects, with the support of our network. • In general, all people interested in sustainable construction and social engagement. Not sure to fit? Get in touch with us! 4 – Development of high quality furnitures and architecture with a small budget and restricted time. 5 – Offer the students a new language of skills and techniques, both in community engagement and building strategies. 6 – Offer the students a supportive network for their future project and their promotion, opening new professional perspectives. 7 – Offer a good mix of practical work, monitored by international and local mentors, and theoretical work, all this working in the frame of a social work engagement. The accreditation by universities is not guaranteed, nonetheless, our alumni got 2 ECTS when claiming convalidation to their respective universities. EUR 1190: 1190€ deadline 27th of May 2018! 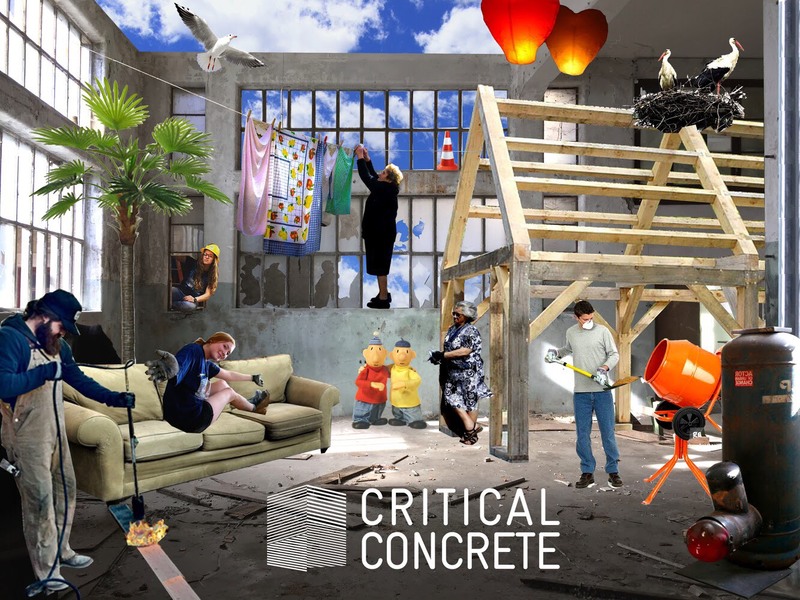 WHAT IS CRITICAL CONCRETE Critical Concrete promotes a new model to refurbish socially-relevant spaces – affordable housing, cultural centres, and public spaces – through educational programmes. We offer a summer school program for architecture, design students and makers who are interested in both the theory of sustainable architecture and getting physically involved in the construction work. In this process, summer school participants contribute to the thorough refurbishment projects that could not normally be afforded by the social housing occupants or covered in full by public funding.